Pleasure is an interval between two pains. This is a phrase Bhagawan has used so often in His Discourses to drive home the fact that we live in world that is dual. It is impossible to get joy without sorrow or profits without loss. Duality is the very nature of this creation. 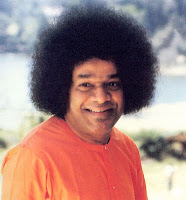 It is not without reason that Bhagawan states, “Pleasure is an interval between two pains” and not “Pain is an interval between two pleasures”. This conveys the truth that life is essentially full of difficulties and challenges. That is why Lord Buddha too, after all his spiritual investigations, came to the conclusion that – Sarvam Dukham Dukham, Sarvam Kshanikam Kshanikam – Everything is sorrow and ephemeral. But then, what is life all about? The goal of life is to transcend these opposites and acquire bliss which is permanent and everlasting. Bhagawan gives us several prescriptions about how to lead our life in this world of duality and how to go beyond the opposites. This blogpost is presented in two parts. Part-I with seven audio clips deals with the Underlying Philosophy and explanation of the context in which Bhagawan uses the statement, "Pleasure is an Interval between two Pains". In the six audio clips of Part-II, Bhagawan gives simple prescriptions of how human beings can transcend the duality of life and go beyond joy and sorrow to experience everlasting bliss. In all the thirteen audio extracts in this blog post, spanning across Discourses delivered in the last 2 decades, Bhagawan refers to the phrase, “Pleasure is an interval between two pains”, and highlights different aspects about the same. 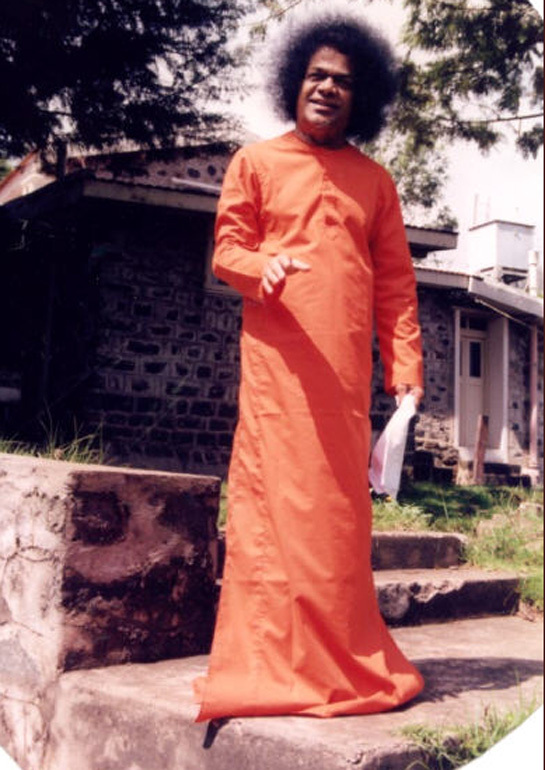 The seven audio excerpts in Part-I have been taken from the Discourses delivered by Bhagawan during the years 1996, 2000, 2002 and 2007. Clip-1 lists the 12 worries which engulf the life of human beings. Clip-2 talks about the true purpose of life and the need for equanimity. Clip-3 explains how duality is inevitable in this world. There cannot be light without shadow. In Clip-4 Bhagawan gives the example of Prahalada and explains how he was able to overcome all difficulties to which he was subjected, by immersing his mind and body in the thoughts of God. 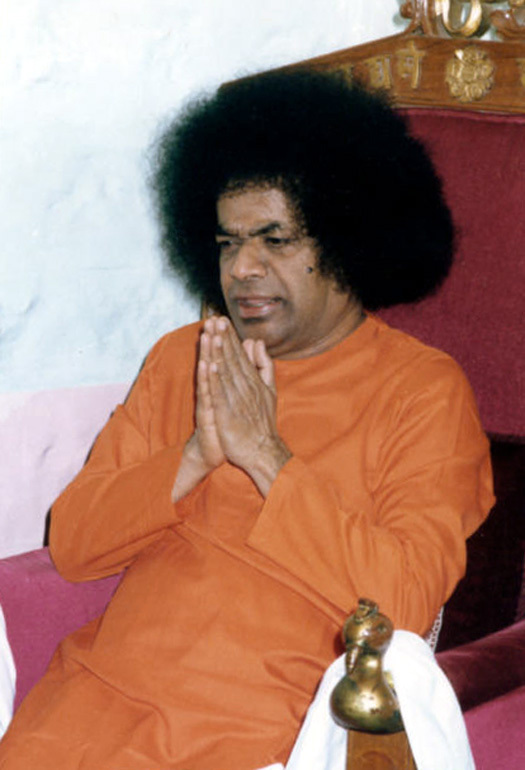 In Clip-5 Bhagawan presents two powerful analogies to explain the predicament of man today. One is that of the sugarcane and the other is that of the goldsmith. Clip-6 reminds us that the human body has been given for the very purpose of facing difficulties. 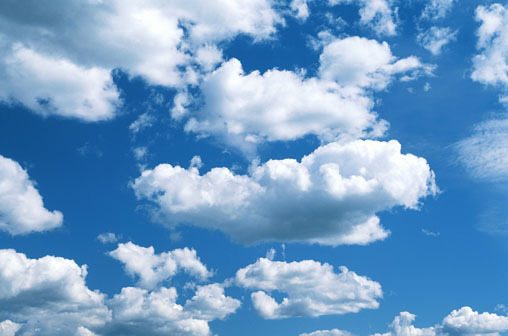 Clip-7 consoles us stating that all sorrows and pains in life are like passing clouds. Sometimes bad things do happen to man. There is no time when man is free from worry. We have to worry for every task. Human life is filled with twelve types of worries. Birth, life on earth, family life, death, childhood, old age, living, failure, all actions, difficulties, happiness and worry itself (Birth-Death, Childhood-Old age, Life on earth-family life-living, Happiness-Failure-Difficulties-Worry, and All actions). The root cause of all these is worry itself. Without Chinta (worry), there cannot be Santasa (happiness). Man is able to derive happiness through these difficulties only. It is said, “Pleasure is an interval between two pains”. You get happiness only between two difficulties. It is impossible to get happiness without going through difficulties. Gradually, as we grow, none can escape the difficulties related to the world (made up of five elements). Some difficulties, sorrow and worry will keep coming our way. Man cannot live without these in this world. Happiness and difficulties go hand in hand in human life. One who is born cannot escape death. Happiness cannot come without sorrow. Treat pleasure and pain, gain and loss, victory and defeat with equanimity. Therefore, pleasure is an interval between two pains. Man cannot live without this (duality). Human life has been given for the pursuit of Truth. It has not been given merely for roaming around, drinking, and just living. These are worldly principles that come in between. But the human being who has come must realize his own truth. He must understand his true form. Life does not end with just being born, growing, moving around, (eating and) drinking and dying. God is present in both good and bad, in truth and falsehood and in sin and merit. In these circumstances, how can we ascertain what is truth, what is sin and what is adharma? The Bhagavad Gita preaches: Mamaatma Sarva Bhootaatma – My Atma (soul) is the same that is in every being. The one who understands this truth will derive the happiness of equanimity. However, the one who lives this physical, ephemeral and worldly life can never escape the differences of truth and untruth, dharma and adharma, good and bad, sin and merit. Therefore, as long as we lead a worldly life, we cannot leave this path of duality. Peace and security is stationed in the midst of happiness and sorrow. Happiness is embedded in sorrow. Pleasure is an interval between two pains. Happiness lies between two difficulties. What is life? Life is a combination of light and shadow. We cannot experience happiness without sorrow. Only when we return from extreme heat, can we understand the value of the other aspect (of coolness or of shadow). Human life assumes the form of a combination of happiness and sorrow. You cannot desire for exclusive happiness in such a life. There is no happiness in happiness. Na Sukhaat Labhyate Sukham - One cannot get happiness from happiness. You cannot derive happiness out of happiness. We can derive happiness only out of sorrow. Whatever difficulties, loss or sorrow we may face at any point of time, we must never distance ourselves from God. Today, on account of worldly reasons, we are distancing ourselves from God who is eternal, who is the Truth. This is not true devotion. Let anything happen; once we have donned this physical body, several difficulties, losses and sorrows may come our way. This body is never permanent. We must safely protect our Love that is eternal and true. You know the history of many devotees. Whatever difficulties came their way, they were able to face them and move forward, and thus were able to set a brilliant ideal to the whole world. They forget their own body. You know the history of Prahalada in Bhagavatha. 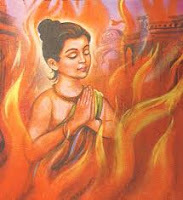 The very father of Prahalada subjected him to so much suffering. Why? Because Prahalada cherished that which the father did not cherish. Hiranyakasipu hated God. Prahalada loved God. Because of that love (for God), Prahalada was able to forbear all the suffering. The teachers too came and pleaded in front of Hiranyakasipu, “When he was attacked by all the demons, the son of (your majesty) Hiranyakasipu, started singing in praise of God and extolling God. O King, he never had any fear, nor did he shed any tear”. Such a young boy; can he bear all these difficulties? No, but he immersed his mind and body in the thought of God. He became oblivious to all the suffering that his body was subjected to. When you are operated after administering chloroform, you would not know whether it is a 5” cut or a 50” cut. Similarly, a mind that is merged in God, is not concerned about any difficulty or suffering. This is what brings success. That is why, the pleasure is an interval between two pains. We can get that happiness only between two difficulties. However, today our education, our devotion and faith is such that if difficulties come, we keep changing the photos (of God) and if happiness comes we add a couple of more photos! This is not true devotion. Whatever difficulties come, it is to be taken as (God’s) Prasadam. It is all Your (God’s) gift. Happiness is Your gift, sorrow is also Your gift. Without happiness, where is the value for sorrow and without sorrow, where is the value for happiness? We must see the unity in the two. That is culture. There is oil in the sesame (til) seeds; but we need to know the method by which the oil can be extracted from the seeds. The sugarcane will not give you jaggery merely by asking for it; it has to be thrashed and squeezed to get the sweet juice. There is juice in the sugarcane. But by merely saying, “O sugarcane, please give me jaggery”, will it give jaggery? Only if we crush it well, remove the juice, put it on fire and heat it well, it will get transformed into the long lasting jaggery. Thinking that “Oh! Why should we subject this sugarcane to difficulties”, if we keep it aside in the corner, within three days it will get dried. The juice of compassion and love in it will also get dried. It will become useless. Similarly, our physical body is like sugarcane. Only when the body is subjected to lot of difficulties, losses and sorrows; the sweetness within it, in the form of the juice of compassion, love and sympathy becomes available. This (process) is called Sanskaara (refinement). Only when it is refined, we can get the sweetness from within it. Therefore, right from the ancient times, our country of Bharath has set an excellent ideal for Sanskaara (refinement). If we go to a goldsmith with some gold and ask him to make a chain, what will he do? He will put it into fire and heat it. He will beat it with a hammer. He will extend it by placing it in a machine. When it gets transformed into a thin wire, he will bend it, shape it and prepare beautiful ornaments from it. Instead, if you give the gold into the hands of the goldsmith and tell him, “Sir, you must not put my gold into the fire, you must not beat it with the hammer, you must not draw it into a wire, but you must get my ornaments ready”; how can it be made ready? In the same manner, if we say, “Oh God, I am giving You my heart with all twists and turns, it is highly disfigured”. This mind is restless, turbulent, obstinate and very strong, O Krishna. “I am giving You such a mind. Kindly prepare a beautiful ornament and give me”. When we offer our heart / mind thus, what He does with it, is His wish. But on account of the influence of the Kali age, when we say, “O God, I am offering this mind to You. Without subjecting it to any difficulties or any challenges, please purify it nicely and give it to me”, no God will be able to do that. Therefore, “Kashte Phali” – Difficulties alone lead to fructification. Happiness is gained only in difficulties. Unless it is hot, you would not put on the fan or buy an air-conditioner. If you do not have hunger, you will never desire for food. Thus, it is difficulties only which give us happiness. In times of pleasure and happiness, people do not desire for Me, but they want Me in difficult times. When difficulties transform into happiness, the ego increases. Therefore, the true nature of the life of man is that the pleasure is an interval between two pains. First of all, we must forbear these difficulties, bear these pains and sorrows. Only then courage and happiness will manifest from within us. The one’s who face challenges with the human body and emerge victorious are ever ready for further challenges. The human body has been given to exert and undertake challenges (difficulties). If there are no difficulties, we must actually draw them towards us. Without troubles, we will never get happiness. The pleasure is an interval between two pains. Therefore, we will get some happiness only between two difficulties. Wherever we meet difficulties, we will get happiness. The troubles last only for some time and not for long. Therefore, in order to have long lasting happiness, we must be ready to face some difficulties. Many are anxious as to what consequences and what happiness the new year will bring with it. There are no difficulties in the New Year. But some things will come and go. It is not possible to live in this world without happiness and sorrow. But nothing is bad for the world. The pleasure is an interval between two pains. If there are no two difficulties, where can you get happiness? It comes and goes. All are like passing clouds. We do not need to worry about this. We must face these challenges. We must develop and transform them with love. We must become the embodiment of Love. Then the whole world will be peaceful. 01-What are the 12 types of worries in human life? 02- Sukhaduhkhe Same Kritva Labhalabhau Jayajayu - Where is this phrase sourced from and what does it mean? 03-What is the way to escape the path of duality? 04-What is the meaning of the phrase - Na Sukhaat Labhyate Sukham? 05-What was the secret behind Prahalada being able to bear all the suffering that he was subjected to by his own father Hiranyakasipu? 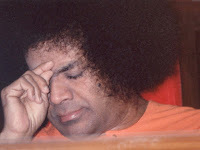 06-What is the analogy that Bhagawan gives using the example of operating a person after administering chloroform? 07- Explain the analogy between the sugarcane and the human body. What is the equivalent of crushing the cane and what is the equivalent of the sugarcane juice? 08- Explain the analogy between the goldsmith making ornaments and God purifying our minds/hearts. 09- Chanchalam Hi Manah Krishna Pramathi Balavad Drdham - Where is this phrase sourced from and what does it mean? 10-What is the meaning of the phrase - Kashte Phali?